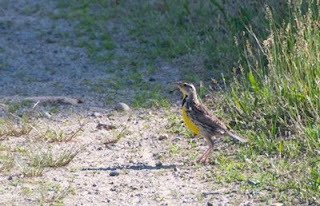 I have not seen an eastern meadowlark in at least 25 years. 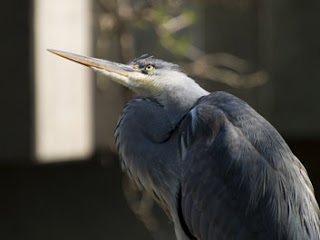 This weekend I saw four at Burrage Pond. I was so happy I almost skipped all the way back to my car, jumping for joy. These ground nesting birds were an essential part of my childhood, before suburban sprall destroyed their habitat near where I grew up. That they are out there so close to where I live now makes me so happy I can't stand it. I had never seen a meadowlark, until I saw your photo.